It would be safe to assume that on Tuesday anybody with ties to the Pittsburgh Steelers, Buffalo Bills, Jacksonville Jaguars, or Dallas Cowboys spent their afternoons eagerly awaiting updates on the status of Tom Brady’s formal appeal of his Deflategate suspension. 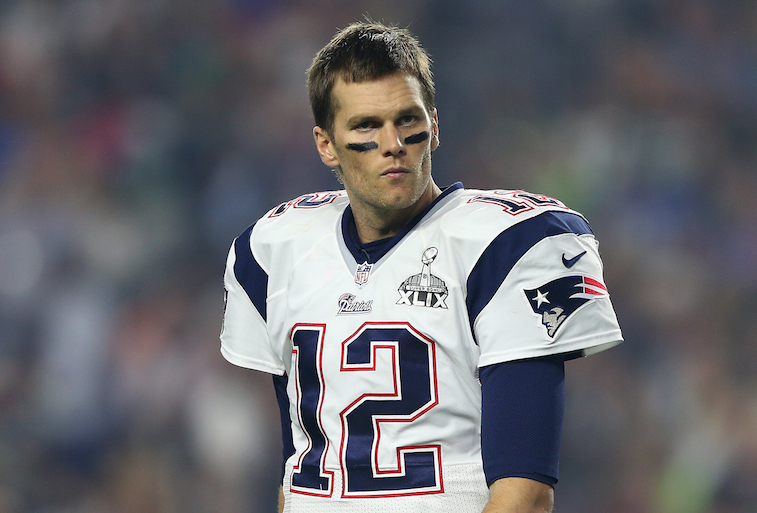 As a refresher, Brady was suspended for the first four games of the 2015 season, which will be played against the aforementioned four teams. What makes Tuesday’s appeal hearing so important for the rest of the league is that the New England Patriots, who are coming off of their fourth Super Bowl title since the turn of the century, are much more beatable without Brady under center. After months of speculation, Tuesday was the four-time Super Bowl champion’s opportunity to tell his side of the story under sworn oath and plead his case to NFL Commissioner Roger Goodell. Very few details of the appeal hearing, which lasted a whopping 10 hours, have been made public, but according to at least one person with knowledge of the 37-year-old quarterback’s testimony, Brady stuck to his original story that he didn’t know about, or order, the manipulation of the Patriots’ game balls the team used during their blowout win over the Indianapolis Colts in the 2014 AFC Championship Game. As it turns out, Brady is actually the second high-profile player to appeal a suspension this offseason, joining Dallas Cowboys defensive end Greg Hardy, who appealed his 10-game suspension for domestic violence. Hardy’s appeal took place in late May and Goodell has yet to rule on the matter, which means we may not hear the results of Brady’s appeal until mid-to-late July. With that being said, history would suggest that both players are going to end up with reduced suspensions. During Goodell’s tenure as the league’s Commissioner, almost every suspension appeal the league has heard resulted in lighter penalties. Here is a look at how five of the most notable recent NFL appeals cases have played out. Suspension: Originally suspended for two games for violating the league’s personal conduct policy. Increased to an indefinite suspension on September 8, 2014. Appeal Result: Rice won his appeal on November 28, 2014 and was immediately eligible to sign with an NFL team. Rice had been a long-time member of the Baltimore Ravens. 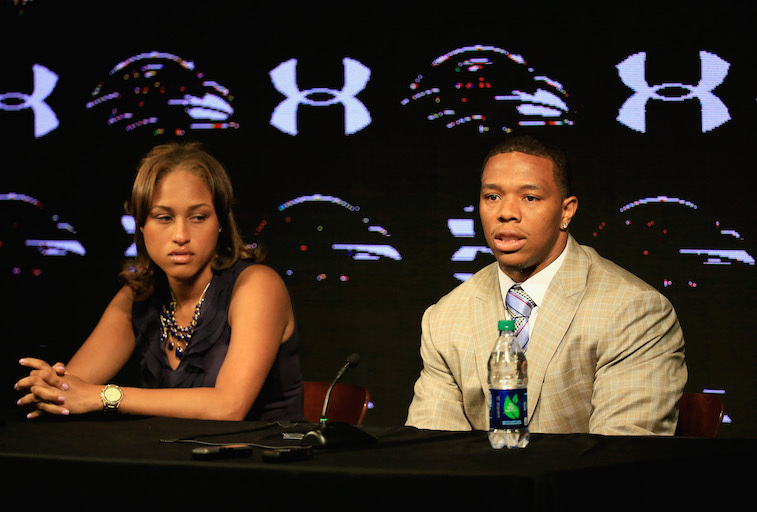 Although the team initially backed the three-time Pro Bowl running back, they immediately released him when security footage showed Rice knocking his then-fiance out cold in an Atlantic City elevator. This case is responsible for laying out the groundwork for the league’s new domestic abuse policy. Suspension: One game for stepping on Green Bay Packers quarterback Aaron Rodgers. Appeal Result: Suh’s suspension was eliminated, but he had to pay a $70,000 fine. As a member of the Detroit Lions, Suh became known as the dirtiest player in the NFL. This incident was easily one of the dirtiest plays of his career, and to make matters worse for the All-Pro defensive tackle, Fox caught the whole thing during their national broadcast. Suspension: Suspended indefinitely for violating the league’s personal conduct policy on November 18, 2014 for at least the remainder of the 2014 season. Appeal Result: Peterson’s appeal that was initially denied was overturned on February 26, 2015 and the NFL reinstated the six-time All-Pro running back on March 1, 2015. In total, Peterson’s suspension lasted six games. Peterson was arrested in early September of 2014 after he was indicted on a felony charge for reckless or negligent injury to a child. 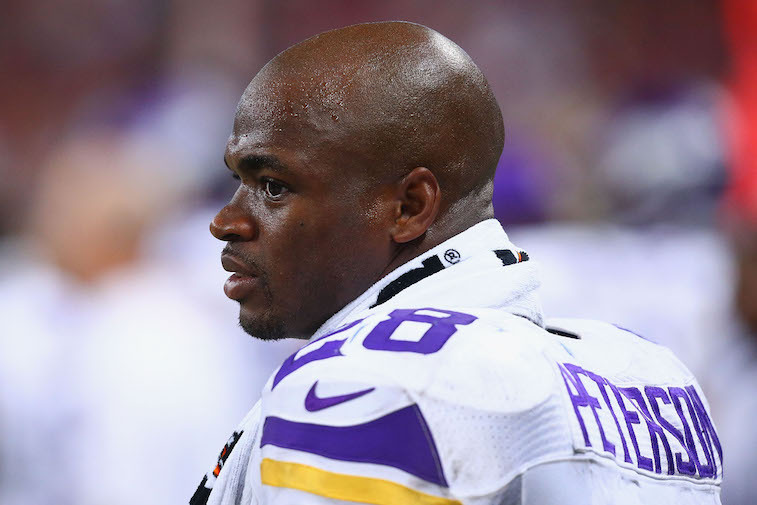 The saga surrounding Peterson’s playing future was one of the biggest stories around the league ever since. However, after all of the drama, it appears all is well for Peterson, who will continue his career with the Minnesota Vikings. Suspension: Six games for violating the league’s personal conduct policy. Appeal Result: Suspension reduced to four games. Roethlisberger was accused of sexually assaulting a college student at a bar in Milledgeville, Georgia, but was never charged. 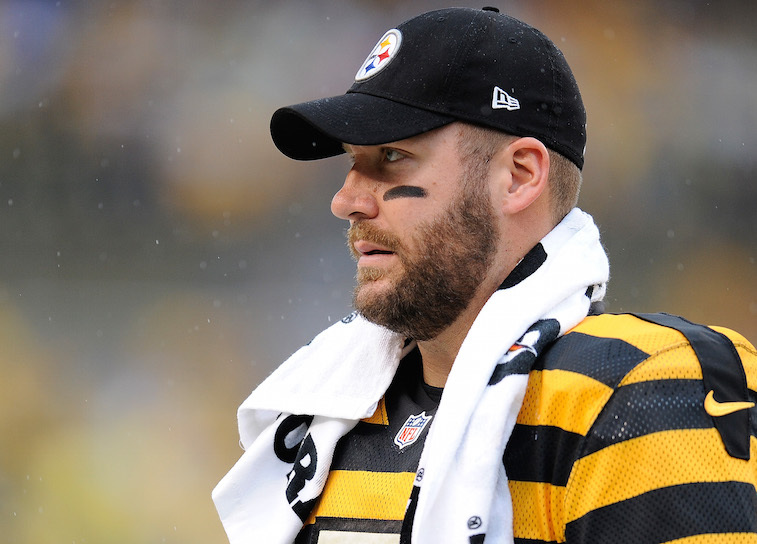 The Pittsburgh Steelers quarterback was the first player to receive a suspension without being charged or convicted of a crime under the NFL’s personal conduct policy. Appeal Result: All suspensions were eliminated. 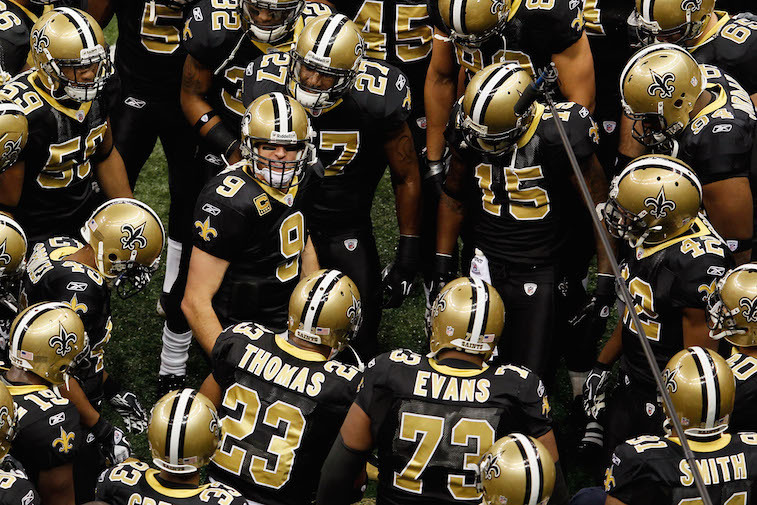 A three-member appeals panel ruled that Goodell exceeded his authority in suspending all four players for participating in the Saints bounty system that paid players cash bonuses for injuring opposing players.